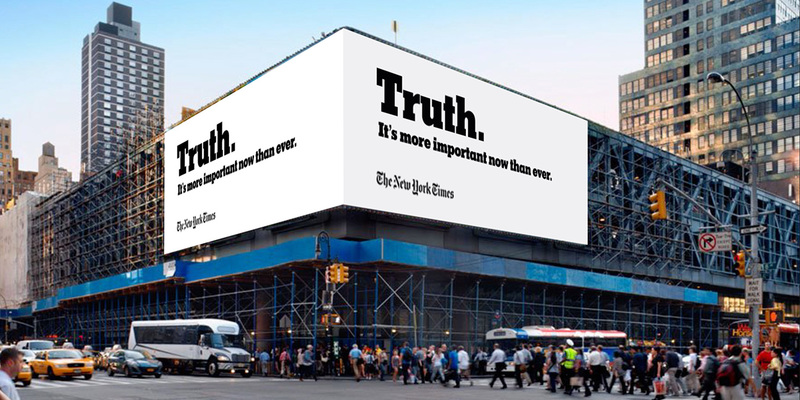 In a world of fake news and alternative facts, The New York Times is asserting the primacy and importance of the truth—and the role independent journalists play in searching for it, and telling it—in a big new brand campaign from Droga5. Stripped-down TV, print, outdoor, digital and social ads tackle head on the sense of eroding faith in the knowability of the truth, and acknowledge that what’s asserted to be the truth in today’s hostile and oversaturated political media landscape is often just opinion, or even outright lies. The campaign includes a 30-second spot that will air on the Academy Awards on Feb. 26 (where such ad slots are going for up to $2.5 million). 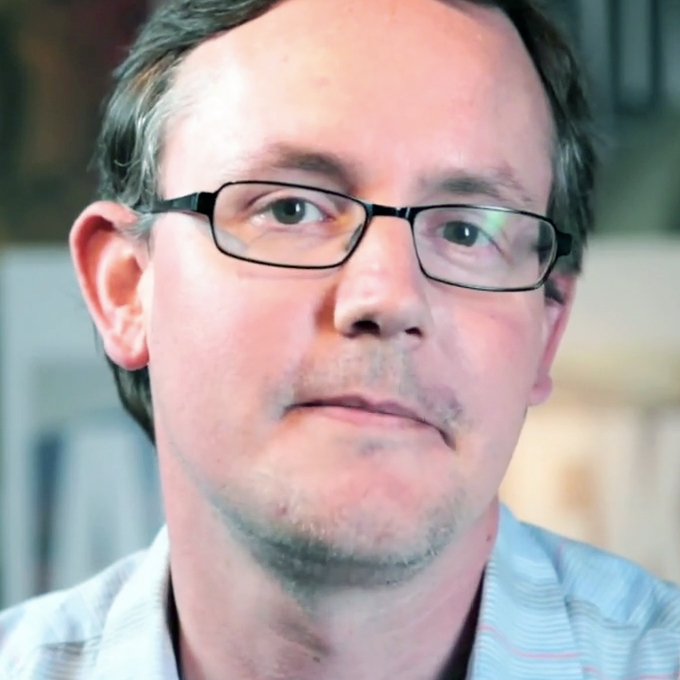 The spot features audio of people debating politics, while on-screen text finishes the sentence “The truth is…” in various ways. At the end, the text concludes: “The truth is hard. The truth is hard to find. The truth is hard to know. The truth is more important now than ever.” The spot doesn’t take sides politically, and asserts only that uncovering the truth—while seemingly fluid in today’s day and age—remains critical, as does the support of independent journalism. The Oscars’ spot will be the Times’ first TV ad since 2010, and its first brand-focused TV ad in a decade. The Times said in a release that the campaign was informed by research that suggests some people are not fully aware of how the paper’s journalism is created. “Specifically, the research found that some people do not realize all that goes into having reporters out in the field, in hard-to-reach places, covering complex topics,” the paper said. The tense political climate in the U.S., and the Trump administration’s high-profile attacks on the media, have put many media outlets in the spotlight—which makes this a propitious time for brand messaging emphasizing the importance of quality journalism. The Times’ effort follows a new brand campaign from Wieden + Kennedy for The Atlantic that included a remarkable short film—also about issues of truth and perception—starring actor Michael K. Williams. See the Times’ print work below.